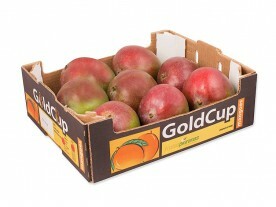 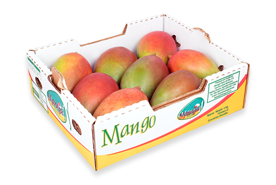 The mango is native to South and Southeast Asia, from where it has been distributed worldwide to become one of the most cultivated fruits in the tropics. 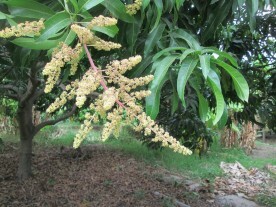 It is the national fruit of India and the Philippines. 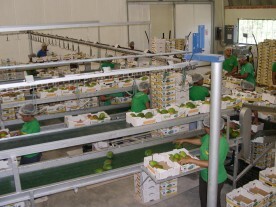 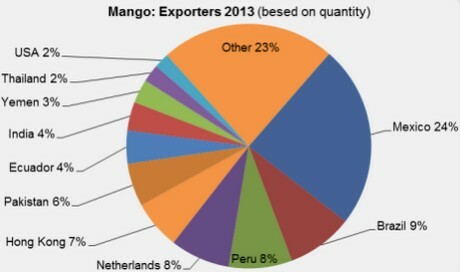 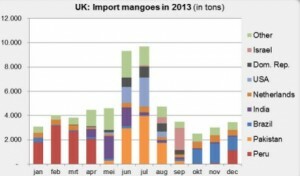 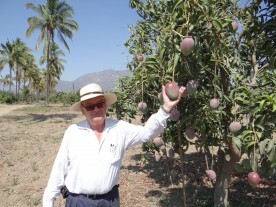 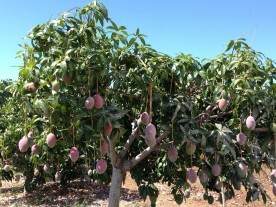 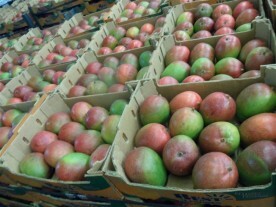 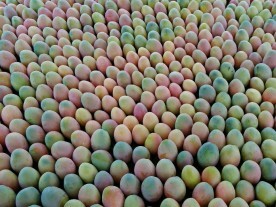 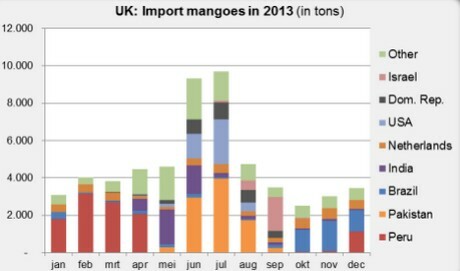 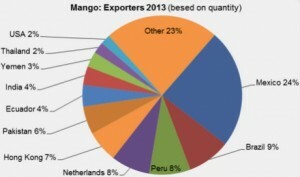 Many hundreds of named mango cultivars exist. 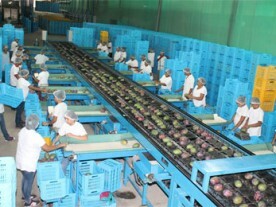 World production is estimated at 40 million tonnes of which 1.1 million are traded internationally. 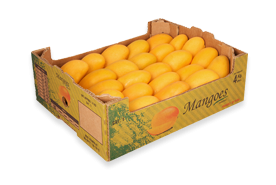 The current trend for fibre-less varieties has led us to continually reduce our orchards of Tommy Atkins and to increase in Kent and Keitt. 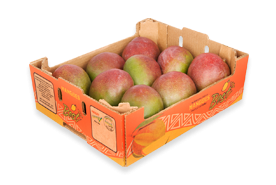 Ataulfo and Edward are premium varieties that produce small fruit sizes with short shelf and very high sugar content with exceptional flavour.